Microsoft Microsoft Store: Get One Month of Xbox Live Gold + 1000 Apex Legends Coins for $1.00 Get One Month of Xbox Live Gold for $1! Join your friends in the latest battle royale craze with this deal from Microsoft, because you can get a one-month subscription to Xbox Live Gold for just $1.00, plus you'll get a bonus of 1000 Apex Coins for free! This offer is only available to new Xbox Live Gold subscribers or previous members who do not have an active subscription. One month of Xbox Live Gold is normally $11.99, while 1000 Apex Coins is $12.99, which means you'll get an overall savings of $23.98 with this deal! Xbox Live Gold lets you play multiplayer games online and grants access to Games with Gold, which gives members a selection of free games every month. 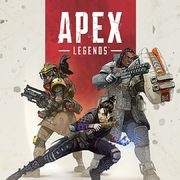 Apex Coins are redeemable for cosmetic upgrades in Apex Legends, the free-to-play battle royale released in February that has quickly grown to become one of the most popular online multiplayer titles of 2019. This offer is effective online only until May 12 -- there are some restrictions, as users in Quebec and Russia are not eligible. A promo code for the 1000 Apex Coins will be delivered via Xbox Message Centre after purchase.